Spring cleaning season is finally here! 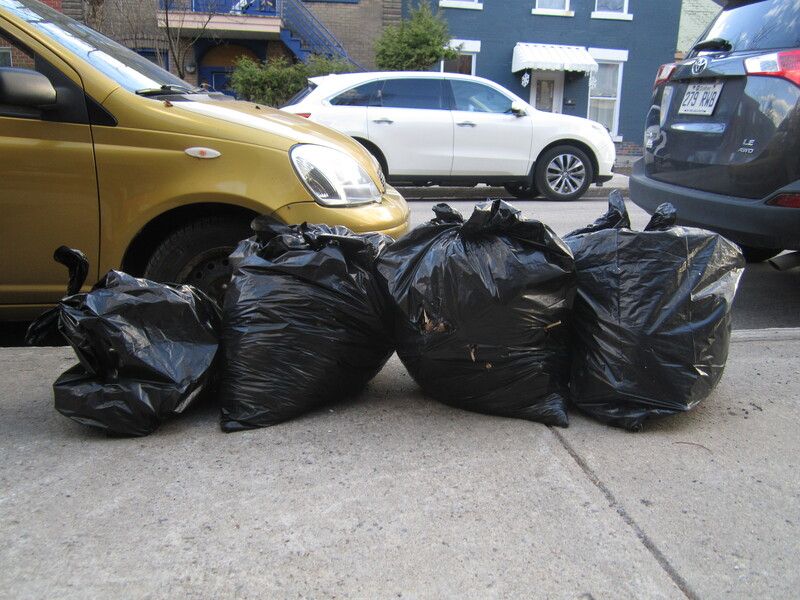 It’s a good time to trash pick, but it’s also worth remembering that most people use this time to tidy up their yard. There’s more leaves and twigs and crappy patio furniture than treasures on the curb, and the past couple of weeks have only been average as a result. Still, my run last Thursday showed the potential of spring cleaning. This suitcase, for example was quite dusty and slightly musty. It had likely been in a basement for however many years, and maybe not looked at since the 70s. Inside was a collection of school workbooks, 1960s teen mags, some old gym shorts, a cool hat, and an old ballerina outfit by Johnny Brown. There was another nice outfit in there but I didn’t have time to get a good photo. I won’t get rich with this stuff, but I should be able to sell some of it at a future yard sale. More profitable was a box I found not far away. It too was dusty (and also moderately musty) and had probably been in a basement since the 70s. Inside was someone’s old coin collection. The newest coins were made in the mid-70s, so I guess that’s around when this person stopped caring. 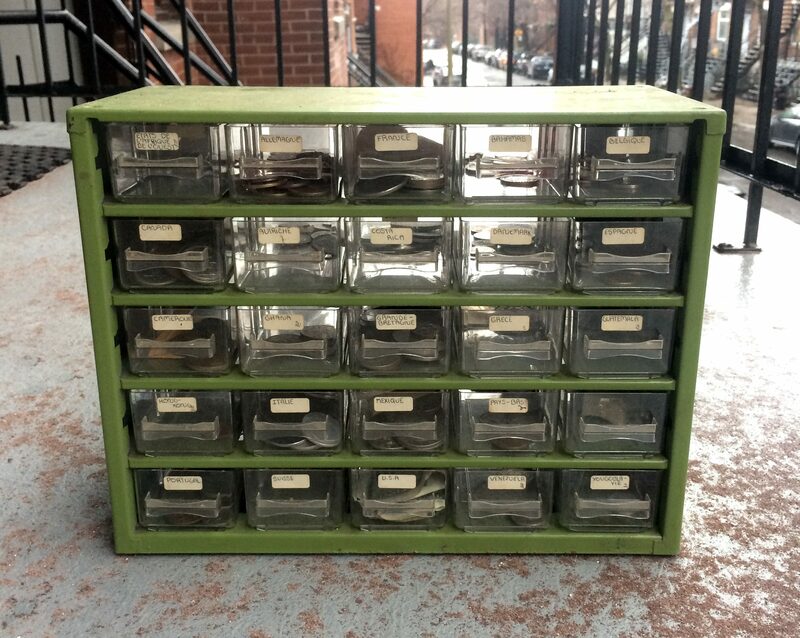 Many were stored inside this cute hardware drawer. 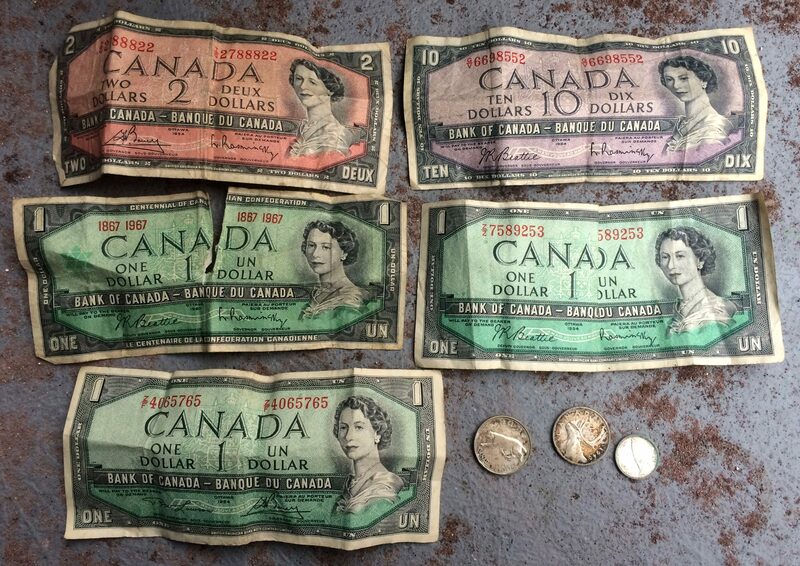 A look inside the “Canada” drawer revealed a stash of old bills. In total I found 15$ in bills, all of which date from 1954 or 1967. Pretty sweet eh? Most of the coins weren’t anything to write home about, but given the age of the collection I was bound to find some silver. Canada stopped using silver in 1968, and the States was mostly done with it by 1965. 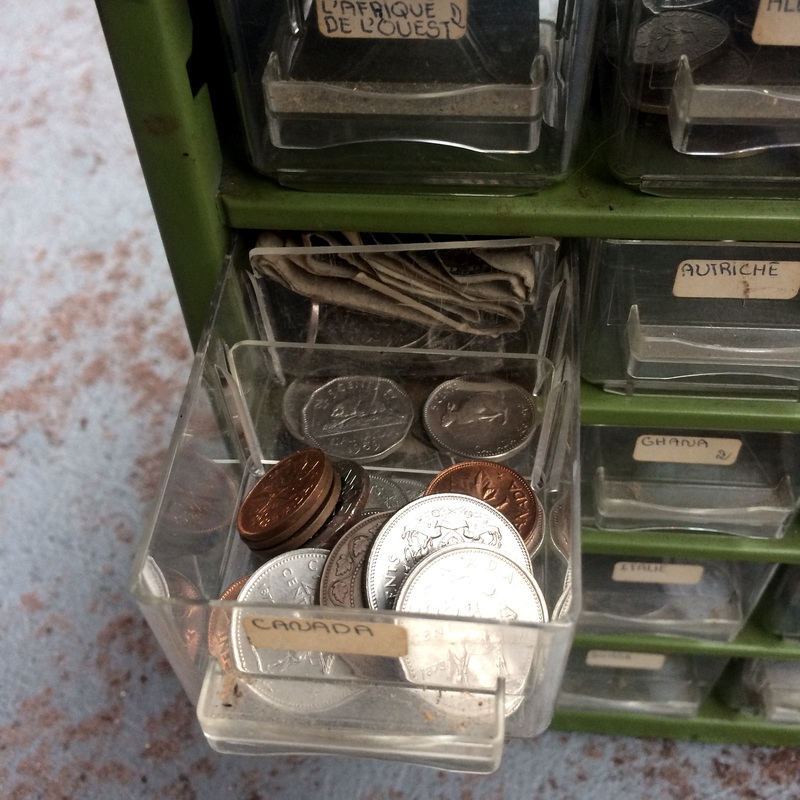 That drawer held those three silver coins, plus another quarter I only noticed later. 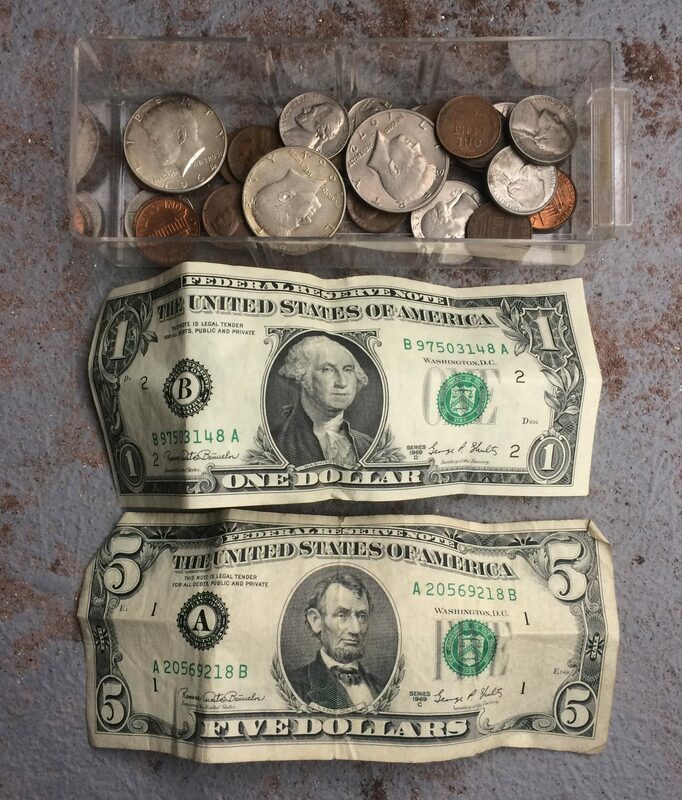 The United States section contained 6$ in bills and two 1964 silver Kennedy half-dollars. Those coins were the last half-dollars made of 90% silver, and as a result they were commonly hoarded. 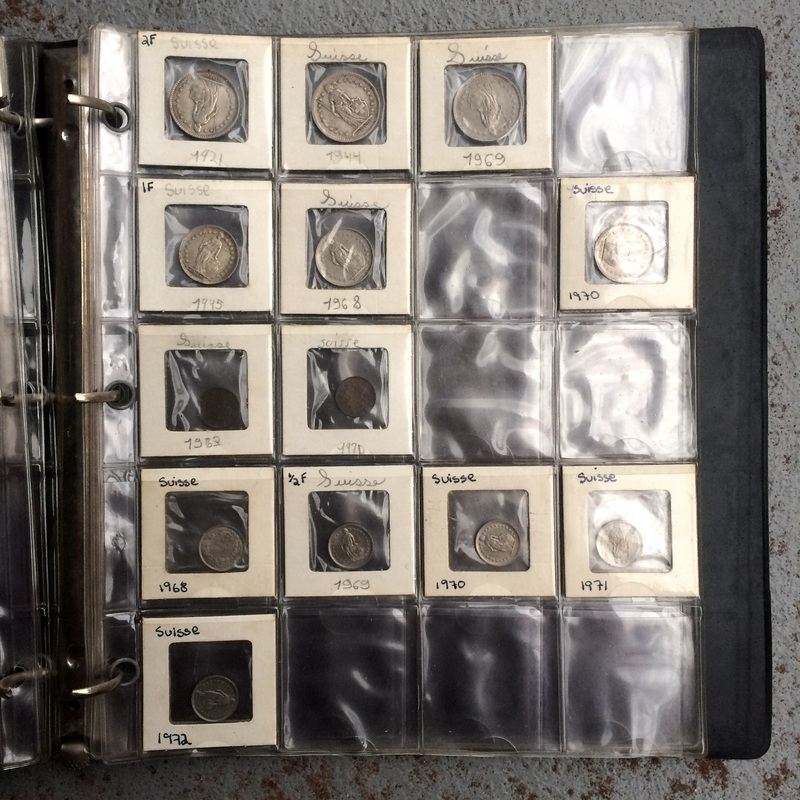 The two folders were also filled with coins, some of which were silver. 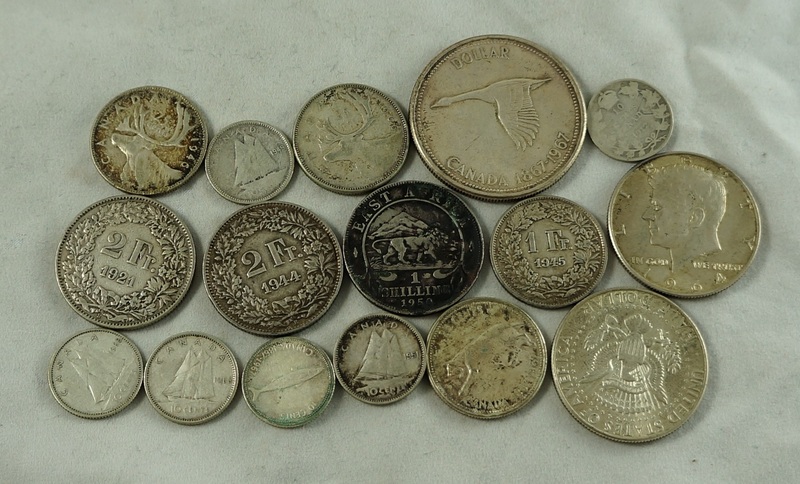 Overall I saved 15 silver coins including a few Swiss francs and a Canadian silver dollar (the East Africa schilling in the middle is apparently not silver after all). Together they weigh around 110g, a melt value of around 50$. However, I should be able to sell them for a bit more than that. (Edit: I just discovered another silver coin, a 1973 Paraguayan 300 Guaranies that’s 72% pure). 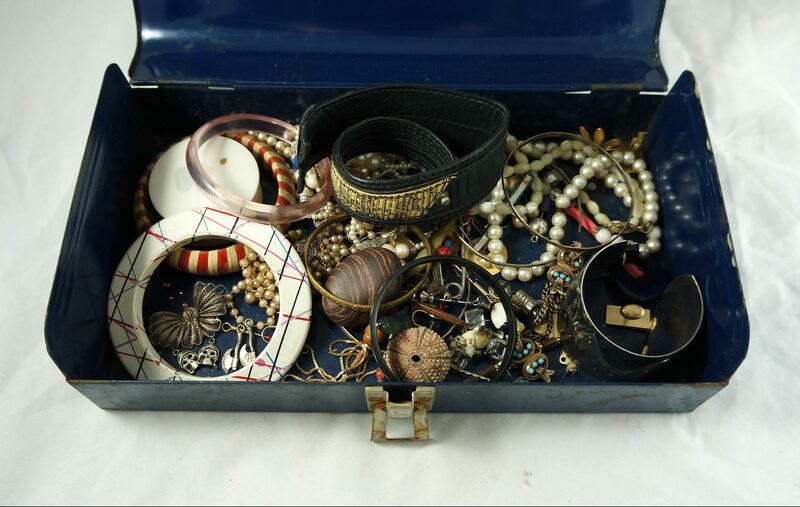 The little metal box contained a stash of old jewelry. 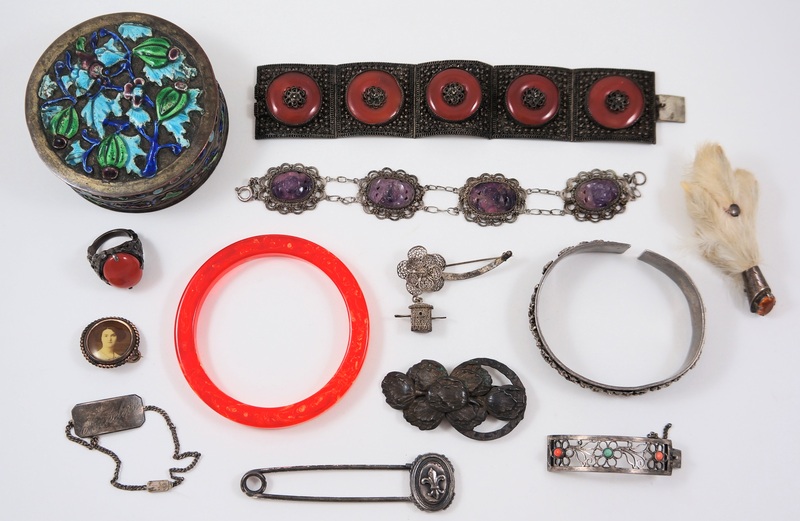 Most of this isn’t particularly exciting, but there is a 10k gold chain and a few silver bits, including the unfortunately damaged butterfly brooch at bottom left. 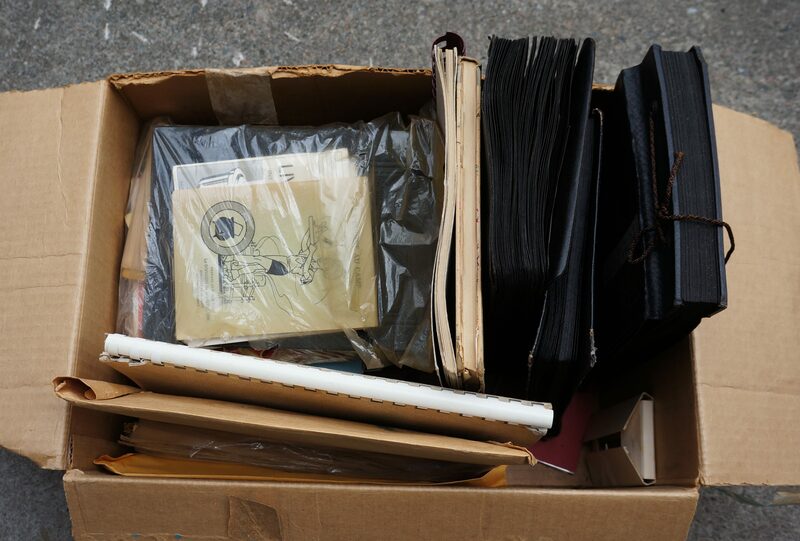 I’d guess that these folks decided it was time to move on after holding onto this stuff for 40-50 years. In terms of garbage, that’s probably the best type of find spring cleaning season has to offer. I’ve been pretty busy this past week. My sister went to the hospital with multiple blood clots, which wasn’t fun but she’s doing better now. 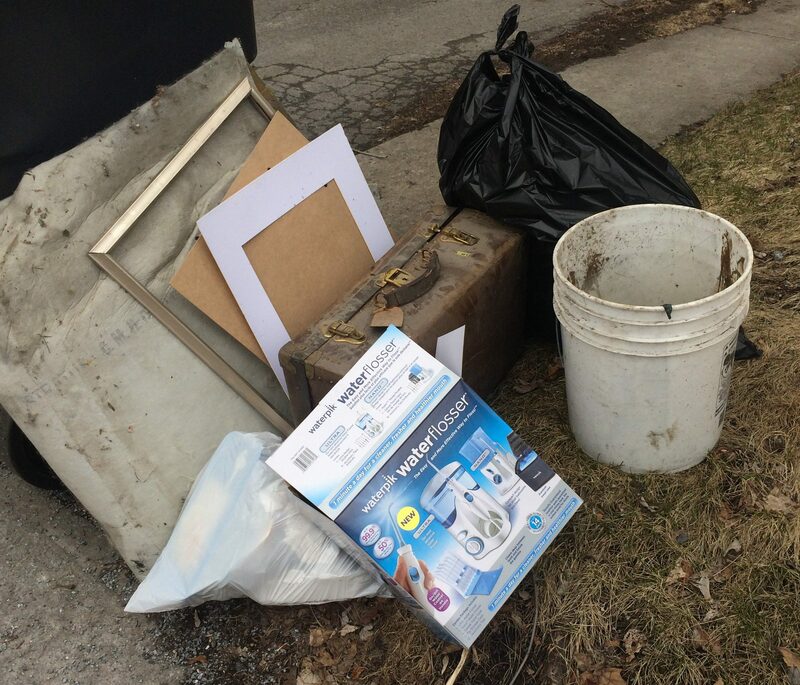 My mom came to town for a couple of days to help out, and she tagged along on a couple garbage runs as well (we found some interesting stuff in Pointe St Charles and Westmount). Oh, and I also did the yard sale on Sunday. It was a great day weather wise, and I made about 650$. 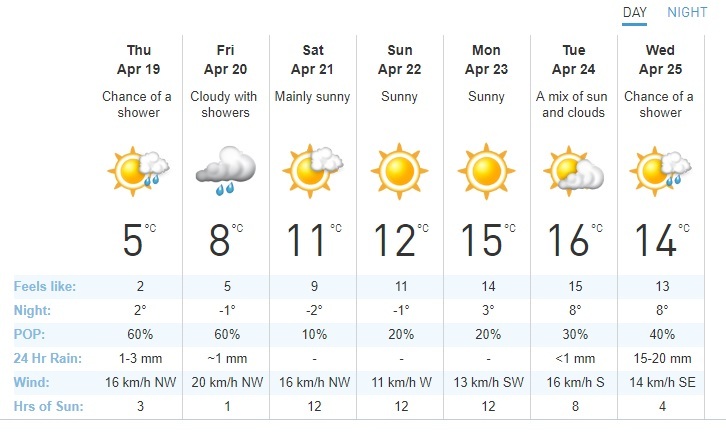 The next week will also be busy. I have the vintage market this weekend (come out if you have time!) and I’ll be busy with McGill move-out day on the 30th and 1st. If the weather is nice I might do another sale next weekend, this time at my storage space on Coloniale – I really need to clear that space out a bit. I’ll keep you posted! Email: thingsifindinthegarbage@gmail.com. Staying on top of emails is not my best quality, so please be patient (but feel free to nag). The weather has not been cooperative of late, making it hard to pick and impossible to do yard sales. It’s supposed to be nice this weekend, however *knock on wood* so maybe it’s finally time for my first sale of the year! I think I’ll take it easy and just deal with the stuff I have in my basement and plastic bins out front. 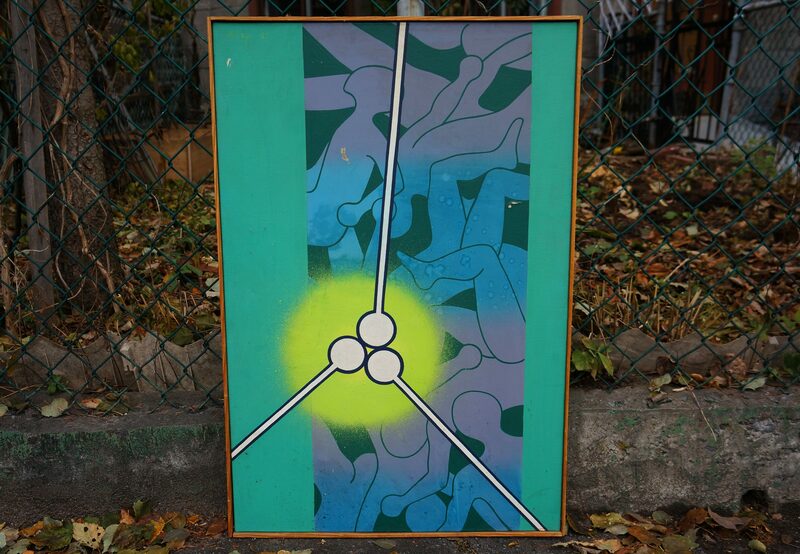 If you’d like to see some of my junk, come to 147 St Joseph Ouest near St Urbain on Sunday between 12-4pm. Otherwise, don’t fret if you can’t come to that one – I’ll also be selling at a vintage market all next weekend. I’ll bring some of my fancier stuff there, as well as the usual collection of interesting if often useless junk. Hope to see you at one or the other, or both! The past two weeks haven’t been amazing for picking but I still managed to find some decent stuff. My Monday evening run was a total write-off before I happened upon a pile of old renovation and fireplace stuff. 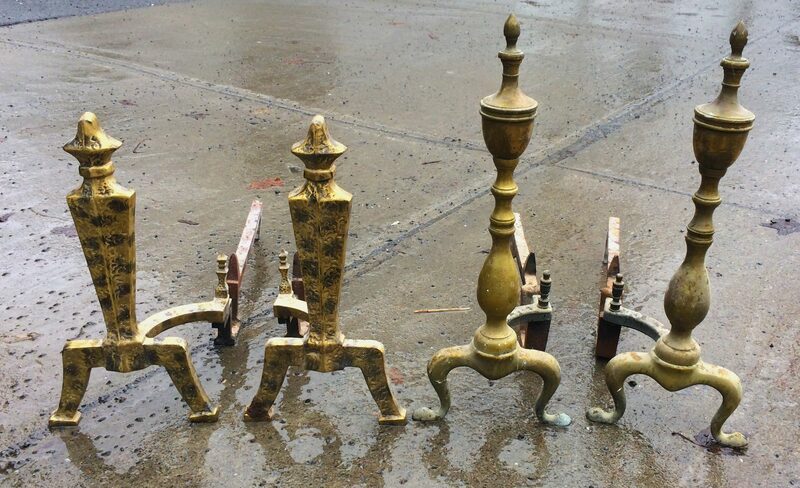 These vintage andirons should make me a bit of money, even if there aren’t as many fireplaces as there used to be. 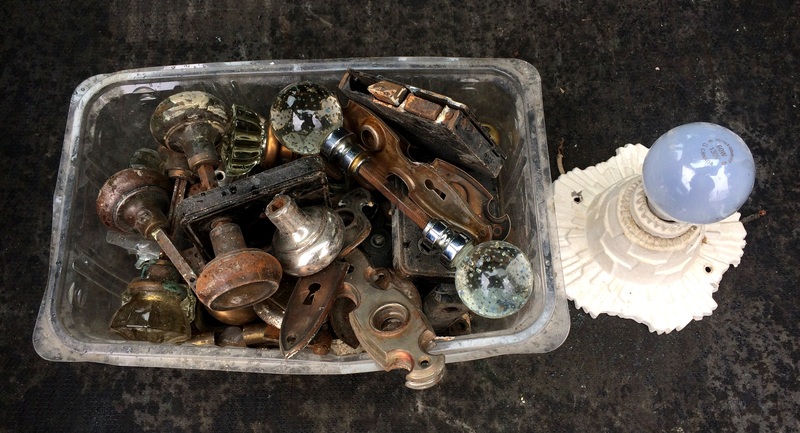 I also saved some nice old door knobs and door plates. My favourites are the bubbly glass ones on top. I’ve never found one like this previously. A single similar looking knob sold for 45 USD on eBay, so I should do well for the pair! Around a week ago I happened upon a neat pile of trash not far from home. At the bottom right is a set of five Alcoholics Anonymous tokens – I’ve seen individual ones before, but never this many at once. There’s a token saying “think before you drink” as well as one each for the three, six, nine, and twelve month milestones. 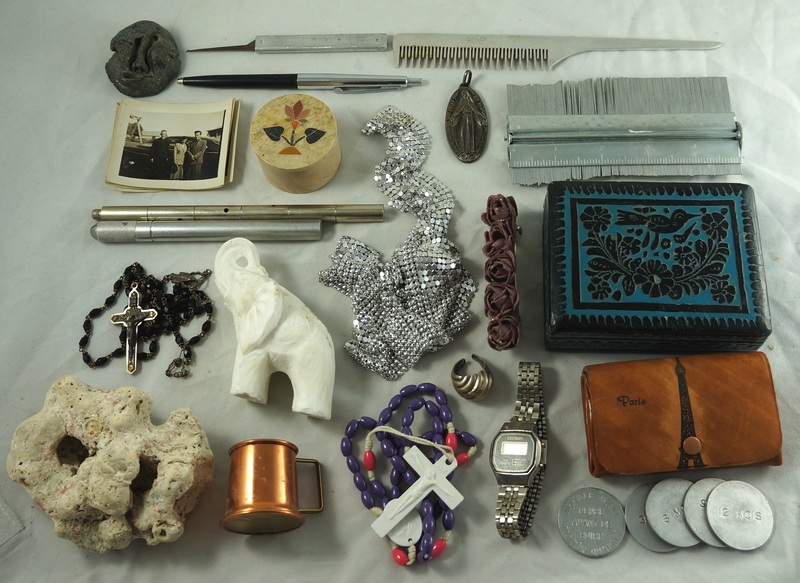 At the top is a vintage lockpick, an old metal comb, an interesting clay brooch (top left), a Catholic medallion, and a small collection of small photos. I’m not sure what that ruler thing with all the metal sticks is (top right), do you? I also found jewelry, perfume, and watches. Most of the watches are yard sale quality, but I think that Bulova will sell for around 40-50$. The Caravelle would be nice as well; alas, it doesn’t run. That curvy brooch looks to be sterling silver. It’s a cool piece but it’s unfortunately unsigned. That bracelet is signed “Clara” but I can’t find any relevant information about that person or company online. The (busted) earrings in the bag are by Nina Ricci. The miniature YSL Opium and Egoiste are the best of the perfume finds. 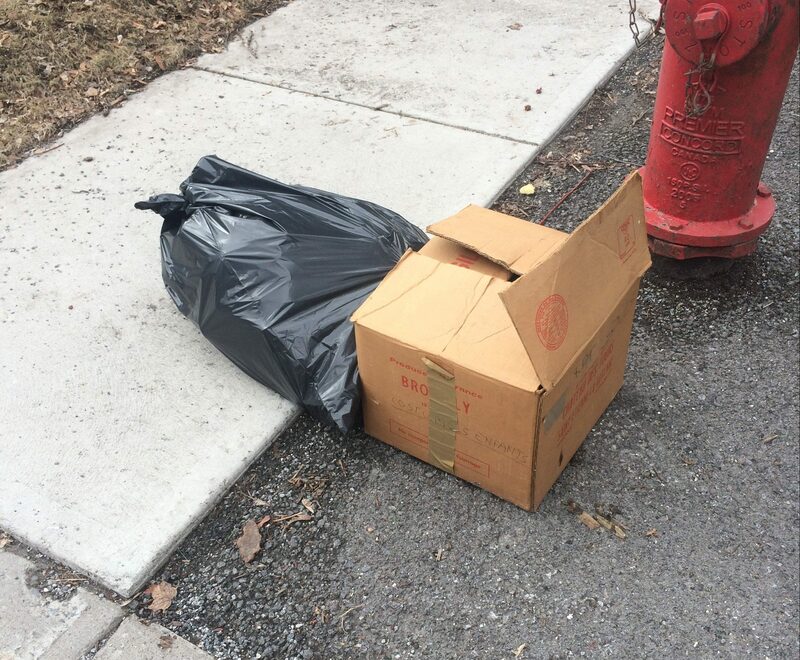 I didn’t see anything here last garbage day, but I’ll keep an eye on the situation in case more treasures emerge. 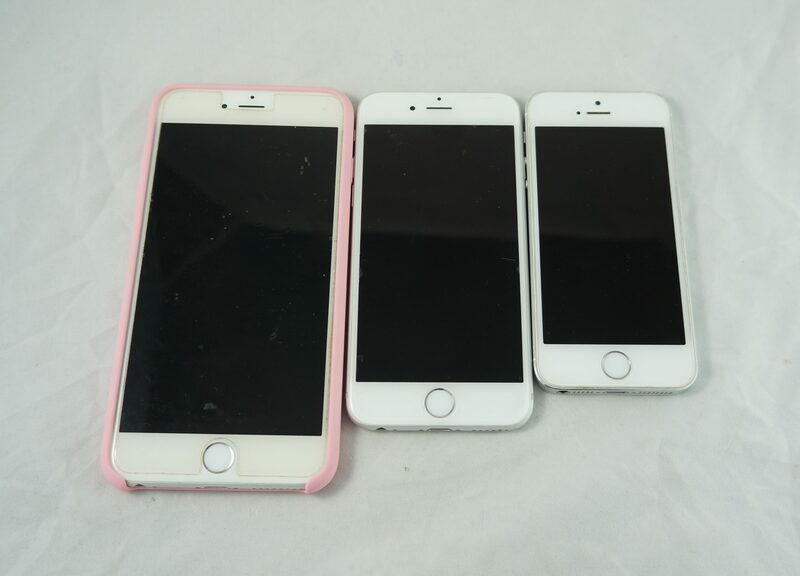 I was dumbfounded to find three different generations of iPhones – a 5s, 6, and 6+ – all in the same bag in NDG. They’re all in really good cosmetic condition as well. Unfortunately, when people toss their iPhones they rarely turn off the “find my iPhone” feature, and as a result the two smaller phones are currently bricks good only for parts. I have hopes that the 6+ might not have had the “find my iPhone” activated, but I’ll need to figure out what provider it was on before I can know for sure. If it does end up working, the 16gb 6+ seems to sell for around 225$. My previous best iPhone find was a 5s with a cracked screen, so this haul blows that straight out of the water. 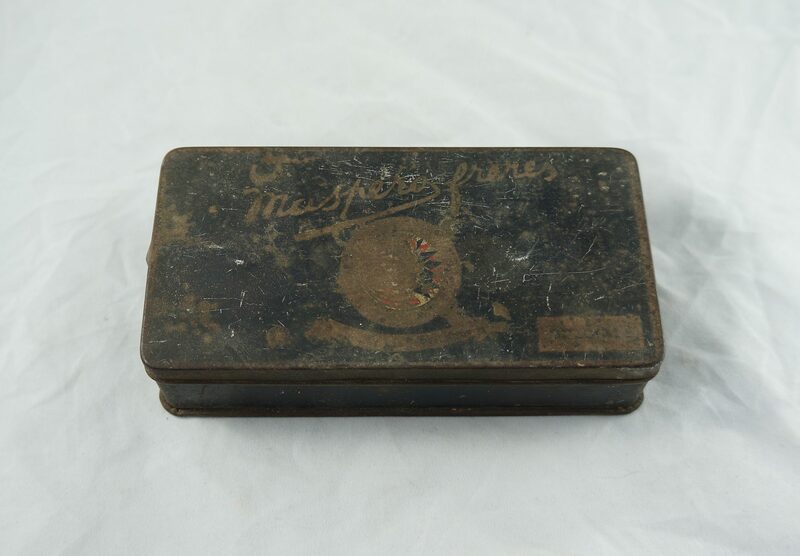 Another spot in NDG provided a bit of old toolsy stuff, including this old cigarette tin. Inside was a neat collection of locks and keys, some of which are of the skeleton variety. Unfortunately none of the keys seem to fit the padlocks, but so it goes. This stuff should do well at a yard sale. I’m sure it could sell on eBay as well, but there’s just not enough time in the world to list everything I find! I found these things outside of a recently sold house in Ahunstic a couple months back. The necklace on the right might be the most valuable piece here – it’s signed by Anne Marie Chagnon, a local jeweler whose work seems to do well on eBay. Based on recent completed listings (looking through these is the main way I research my finds) I think it could sell for three figures, though I’ll lower the price if it takes a while to sell. I really like that chalkware lion in the middle – I might keep that for myself. 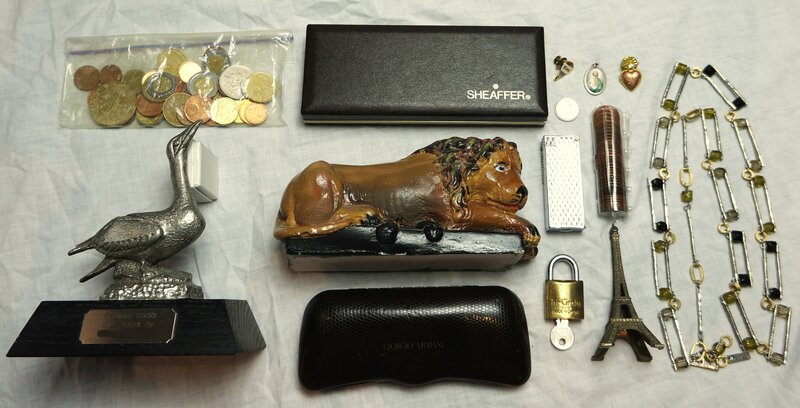 The Sheaffer and Armani cases are empty, but still useful for shipping out similar items. The folks who tossed this stuff were pretty nice. They came out and offered me and my friend some other stuff they were parting with, including some cute embroideries, an old clock, and a large framed class photo that includes a picture of the multitalented Gratien Gelinas. If only people were this nice all the time! I found a bag of jewelry elsewhere in Ahunstic. The first piece I noticed was the silver bracelet on the bottom which got me excited as to else was in there. Unfortunately, the rest was pretty junky though some was good enough for the yard sale pile. 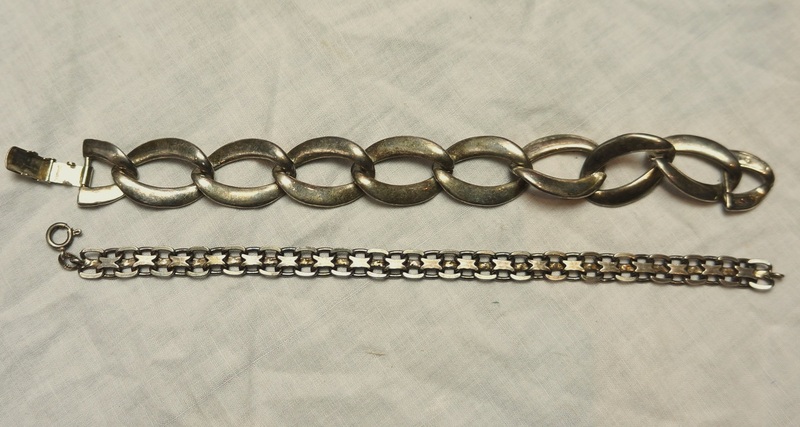 That other bracelet could be silver as well; there’s some marks on there but I can’t make them out. In Rosemont I saved a large collection of old paper bags. 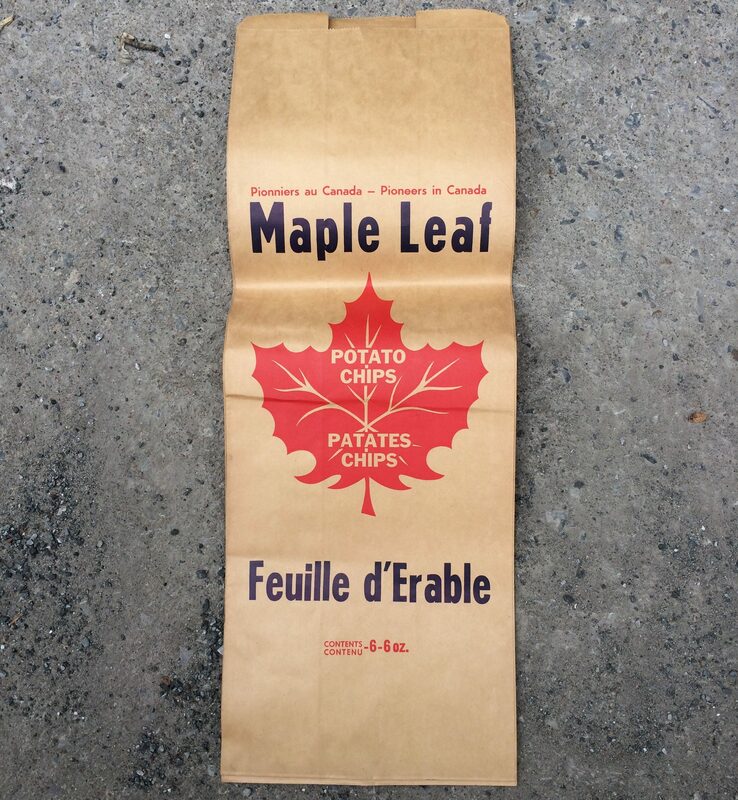 My favourites were these oddly tall and narrow Maple Leaf potato chip bags. The company labels itself “Pioneers in Canada” – pioneers of what, I have no idea. The weight is written in ounces, so this bag dates to at latest the early 70s. Does anyone remember this company? I also saved a bunch of Steinberg bags. I hope they sell at a yard sale, but at worst I can bag people’s purchases in them! 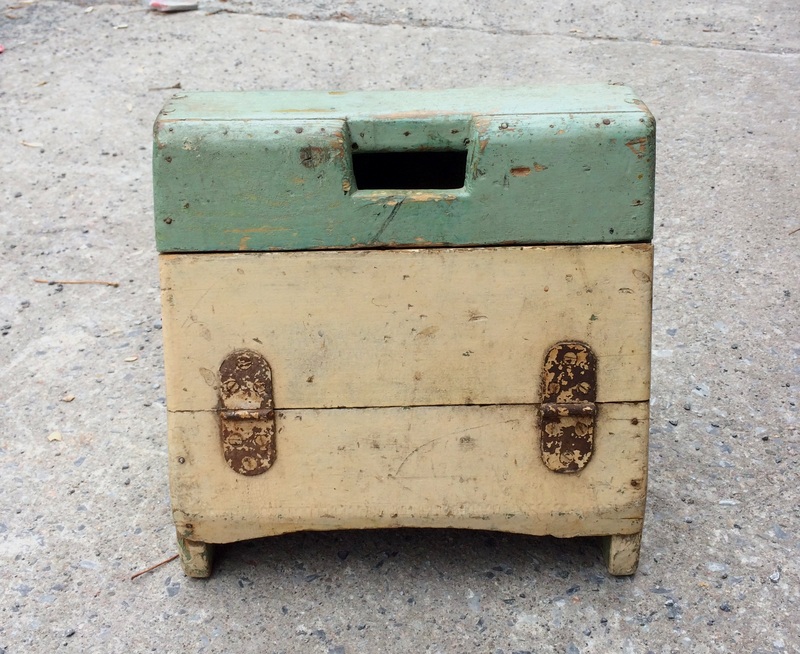 I found this cute little shoeshine box in Rosemont. I also met the previous owner, an older lady who told me that her dad made it when she was just one year old. I’d guess that she was about 80, making this box quite vintage! Many of the things I find are stripped of their history, so it’s always nice when I get to learn even a little bit of their backstory. Here’s a video of me opening the box via an interior latch (her son showed me how). It appears that the wood was repurposed from old butter crates. I might have to hold onto this, at the very least it’s a fun cubby hole. Otherwise, people keep throwing out stamps. Some rich folks tossed these two packs (minus one stamp), good for close to 20$ of shipping goodness. 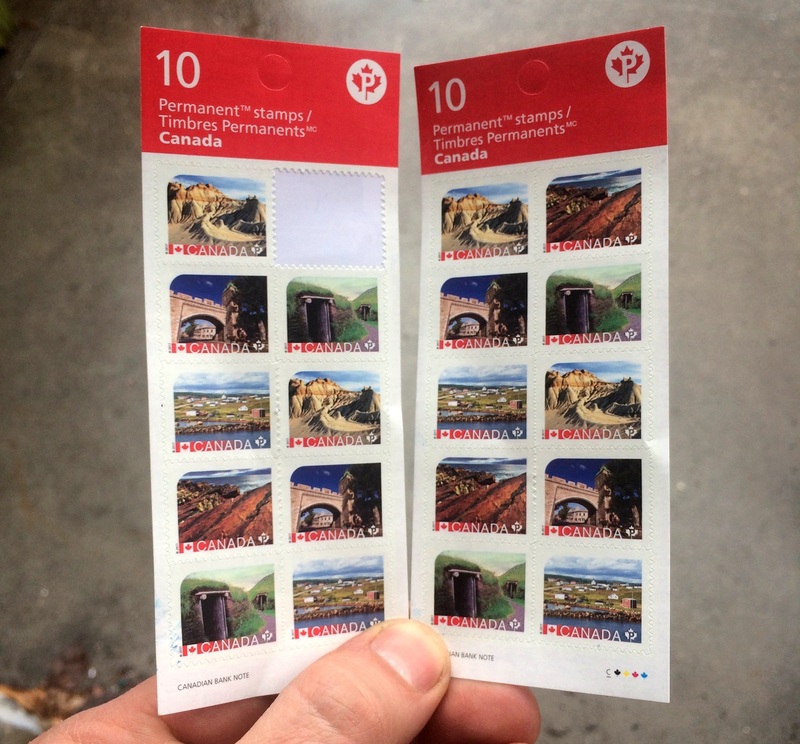 I’m also almost finished using that huge haul of stamps which for me was like incrementally finding 100$. Here’s hoping I don’t have to pay to ship things via lettermail anytime soon! (I ship most of my parcels with Paypal labels, so stamps don’t come into play for those). I’ve been finding more stuff at the gold ring spot. No more gold as of yet, but a decent amount of interesting junk (and also a whole bunch of useless crap). I’ll save those finds for a future post. I was planning on taking today off from picking as I’ve been feeling a bit under this weather. 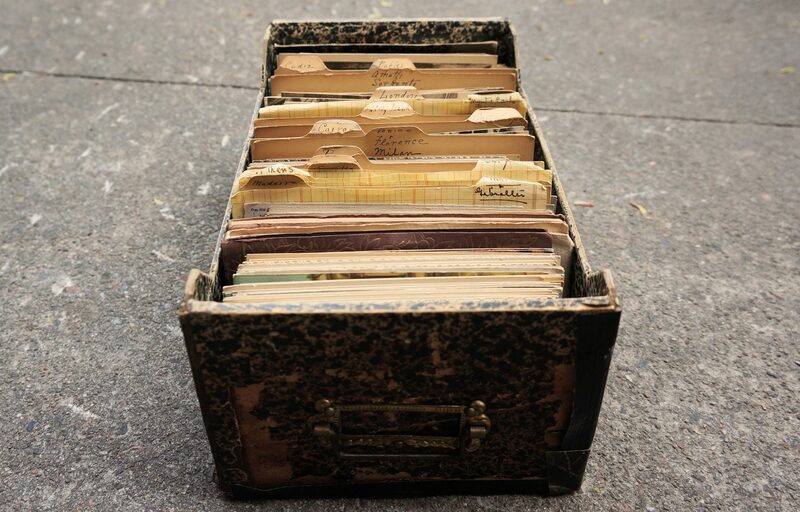 I decided to go on a quick run at the last moment, however and ended up finding some great spring cleaning “junk.” I’ll share that in a future post, but for now let’s just say that it involves round, sometimes shiny objects. I’ve been re-tooling the site a little bit. Some of you might have noticed that the old “resources” tab is now called “how to…”, which I think is a better way to phrase it. I also re-wrote a lot of the sections inside that tab, though I still have some work to do on the “how to garbage pick” section. Now that I’m looking at it, the “about” tab is totally useless and has been for some time… I’ll have to work on that as well. I guess you could say I need to do some spring cleaning on the blog! At long last here are my top finds of 2017! This was definitely my best year yet for a variety of reasons – I’ll dig into those deeper in a future blog post – and my top 10 looks an order of magnitude better than it did in 2016. I also made more money (roughly 27k) than ever before, a trend that I expect to continue in 2018. Below is a compilation of the finds that helped make this past year special. If you think I forgot something, or want to debate the order of my picks please let us know in the comments! (FYI, to see my lists from previous years hover your clicker over the “archives” tab above). 3. 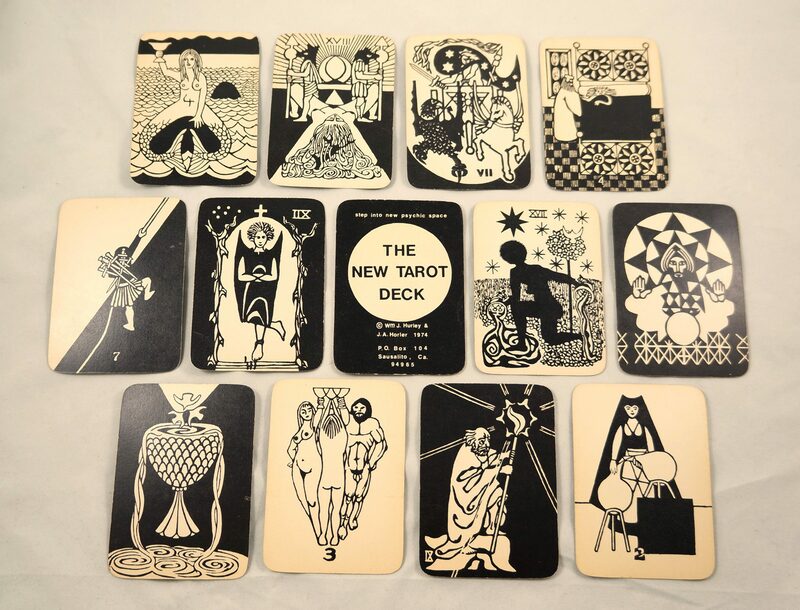 Tarot collection. The decks, both of which were first published in the 70s, were much more psychedelic than the ones I’d seen previously. The Secret Dakini Oracle above was missing a card but still sold for 50$, though the package appears to have been lost in the mail. 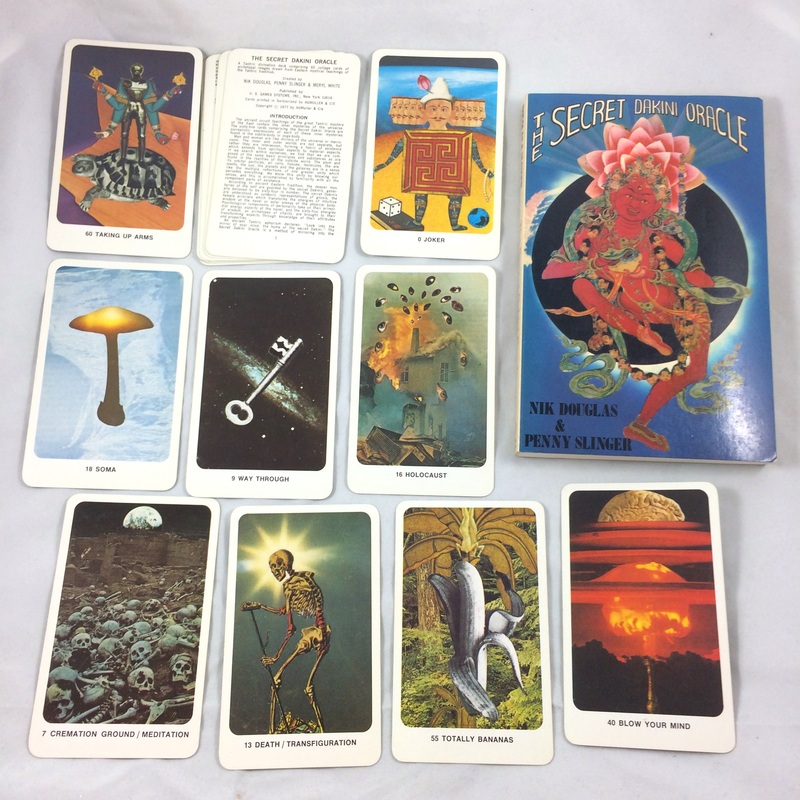 The Joseph Campbell-inspired “New Tarot” (below) sold to a reader for 150$. Fortunately, that one was complete. Found in the Mile End. 2. Ghost box. 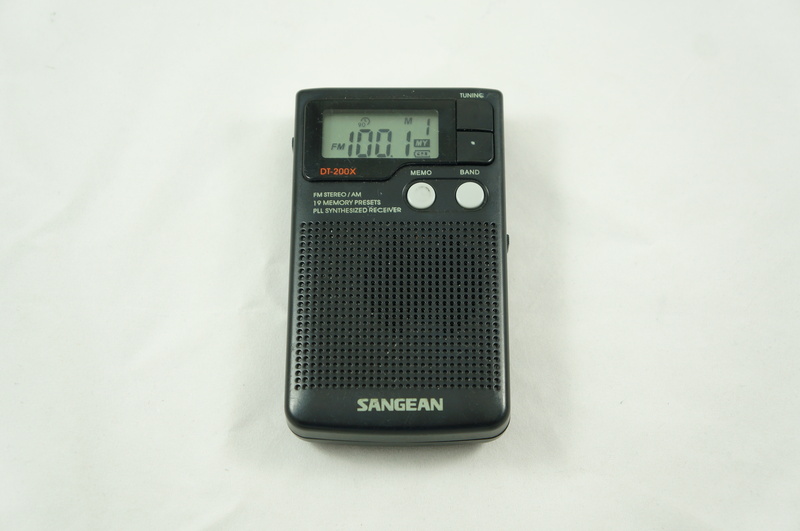 This Sangean DT-200X isn’t unusual outside of the fact that it’s one of the few radios that can be converted to a ghost box. I ended up modding it myself (basically by removing a few pins on the circuit board) and it sold quickly for 150$. If you’re curious here’s a short video I made of the ghost box doing it’s thing. Found in Outremont. 1. Jar of mercury. 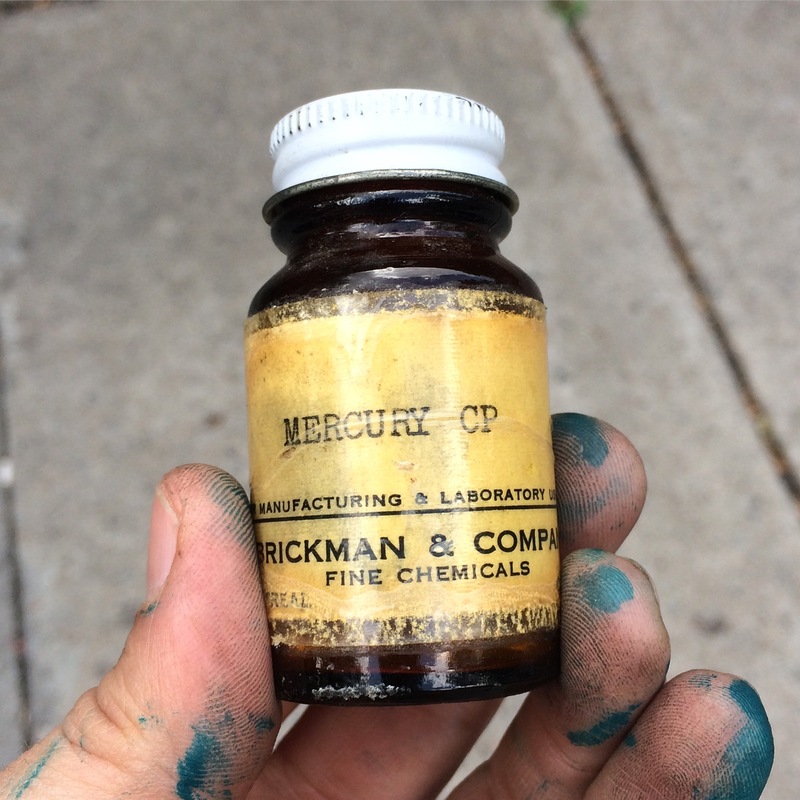 This contained about 225g of mercury. I’m glad it didn’t make it to the landfill! I ended up giving it to a reader with an interest in old bottles. Found in Outremont. 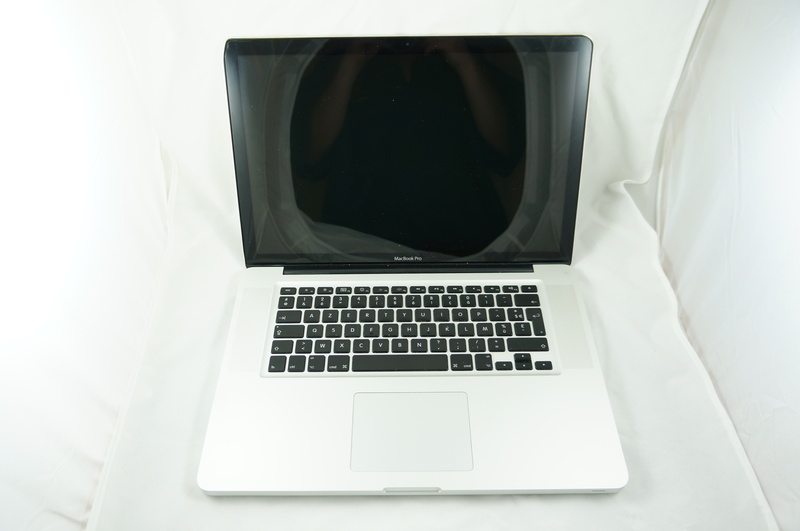 MacBook Pros. I found one in January, February and April. None worked as intended but they still sold for 125$, 245$, and 180$ respectively. The first two came from the Plateau, the last from McGill move-out day. 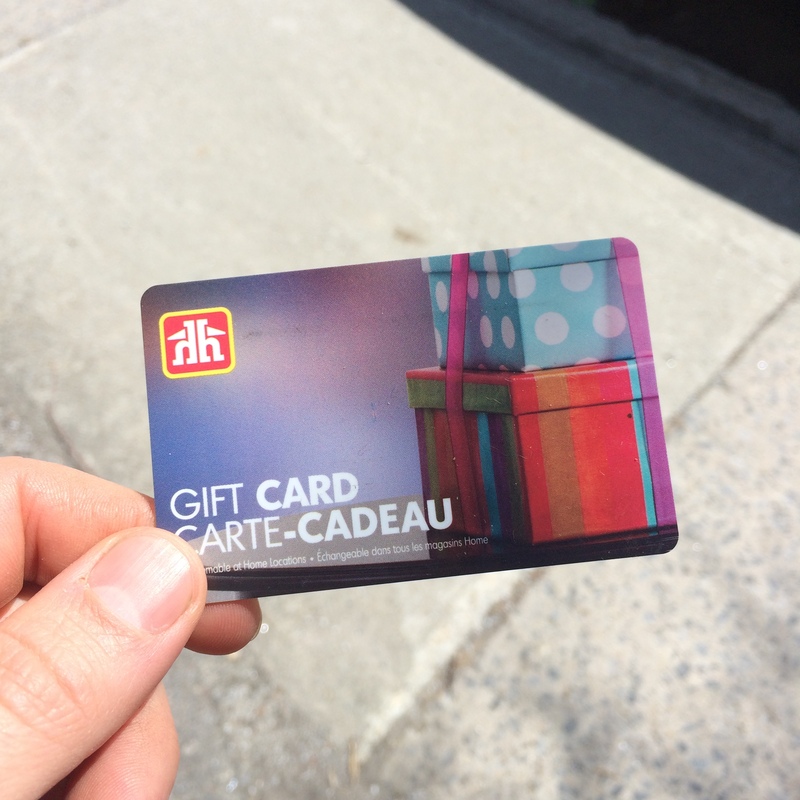 Home Hardware gift card. It still held 63$, which I spent on plastic storage bins. I found it in the Mile End as part of the McGill move-out day haul. 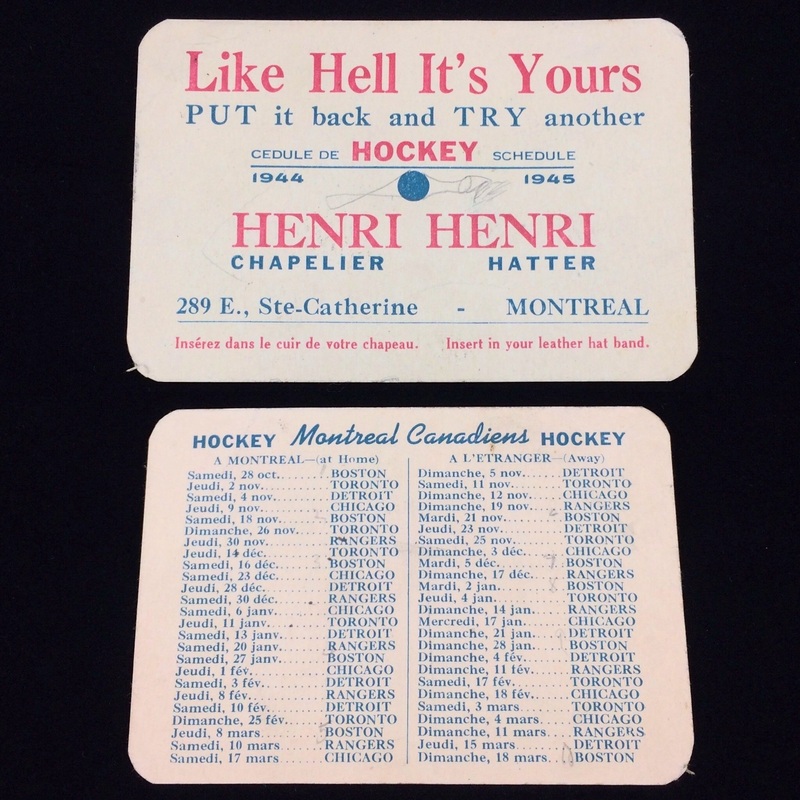 Montreal Canadiens 1944-1945 schedule. These are pretty rare, or at the very least I couldn’t find anything else like it online. I found it tucked between the pages of an old book. It sold pretty quickly to a local collector for 150$. Found in Villeray. 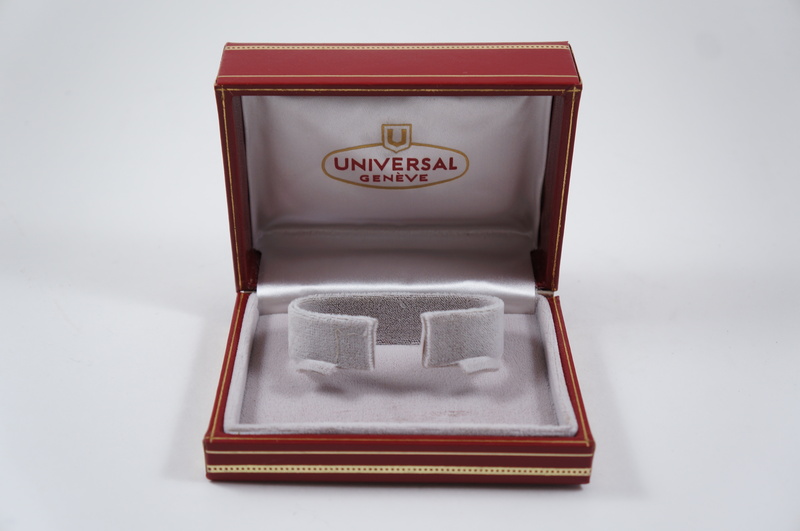 Vintage Universal Geneve watch boxes. 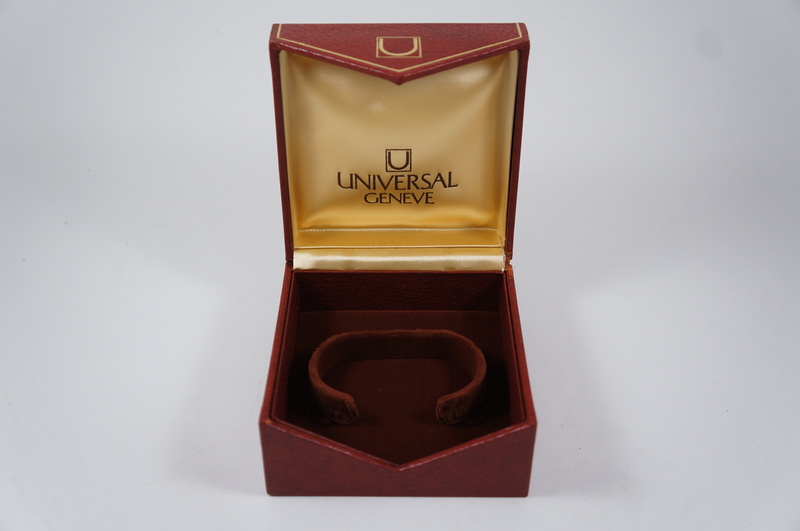 There’s a solid market for watch boxes, particularly vintage ones belonging to luxury brands. These two sold to a buyer in Italy for a total of 450$. Found in Hampstead. 10k gold bracelet. This thing was a bit scratched but it was still quite valuable for its weight in gold. I ended up melting it for an easy profit of about 650$. Found in Westmount. 10. 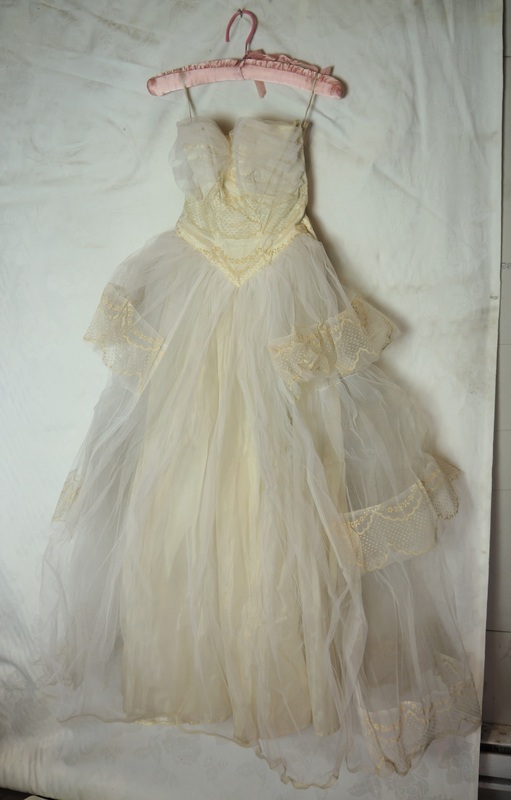 Vintage wedding dress collection. 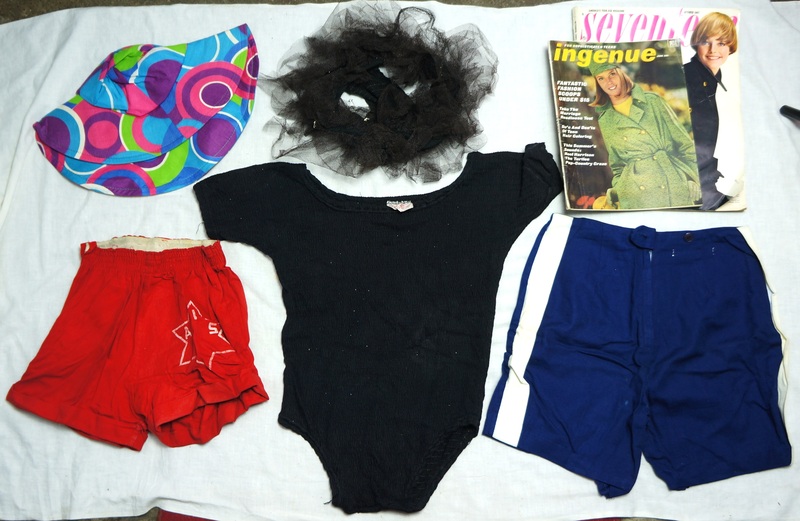 They were stored in thin plastic bags and appear to be in great condition for their age. By most estimations they date back to the 40s or 50s. I’m not sure what I’ll do with them yet, especially since selling clothes is not my forte, but they’re definitely cool. 9. 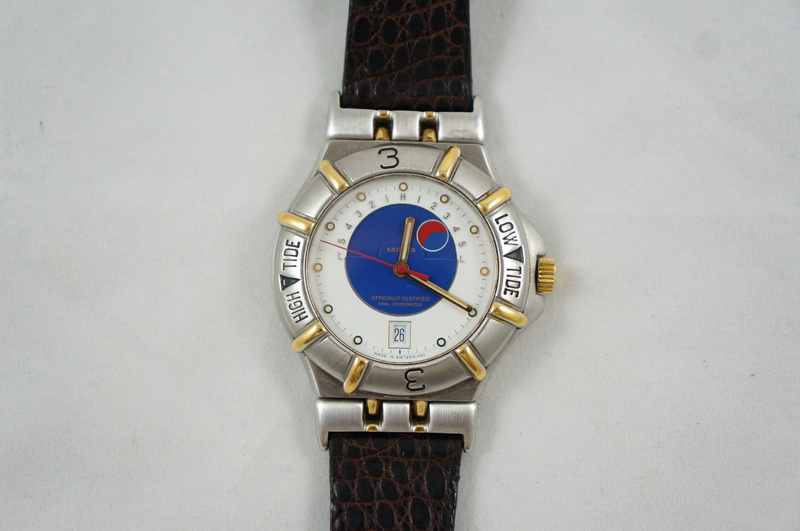 Krieger tidal watch. Krieger isn’t a particularly well known brand but their tidal watches serve the sailing and boating community, an often wealthy niche market. It needed a new battery, the replacement of which cost 35$, but it eventually sold for 550$. Part of the “Very Rich People” series. 8. Sterling silver dish. 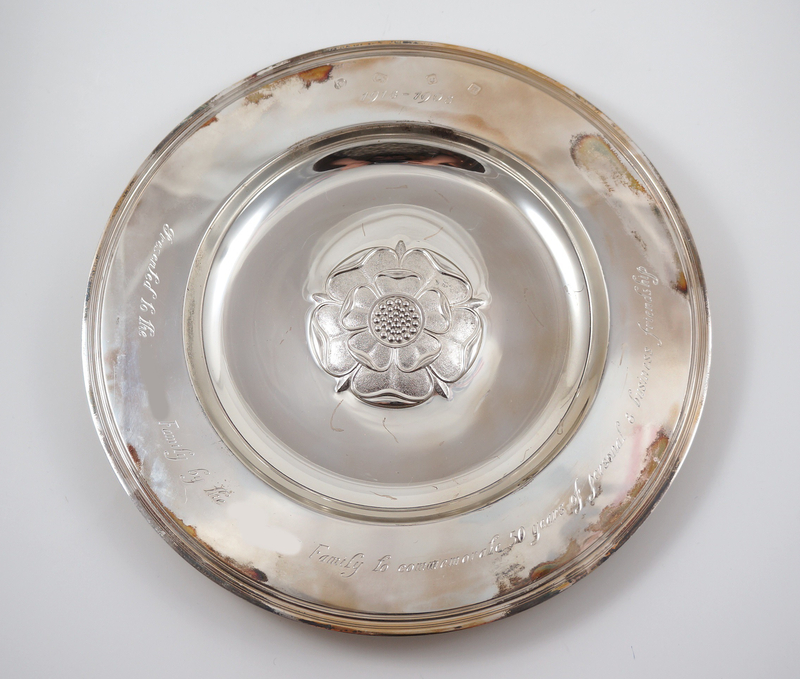 This was a gift made in 1968 to honour the business relationship between two families. It weighed almost a kilogram and sold at its scrap value, which was about 450$. 7. Louis Muhlstock still life. Muhlstock was one of several prominent Jewish “social realist” painters in Montreal during the 30s and 40s. He’s best known for his sketches of the working class and lumpenproletariat, but this beautiful still life should earn me a bit of cash once I finally get around to dealing with it. 6. 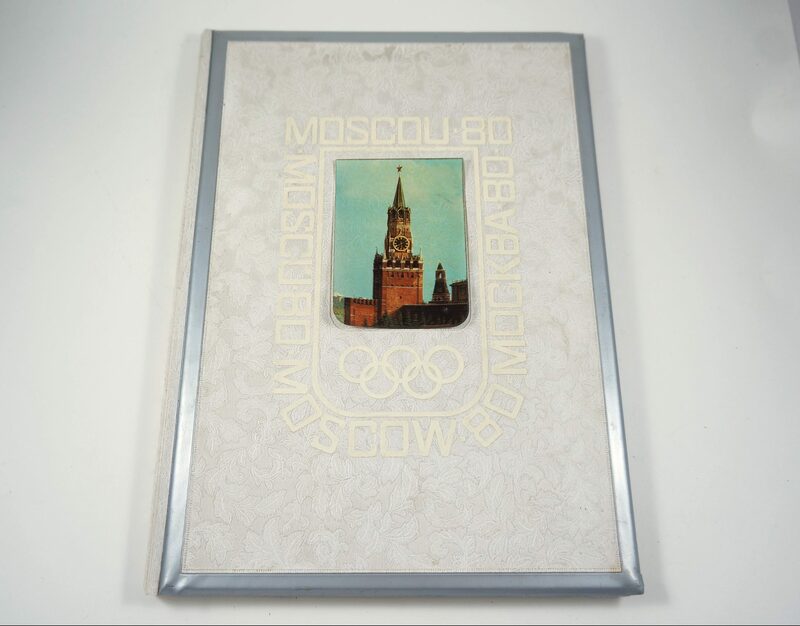 Moscow 1980 Olympics bid book. 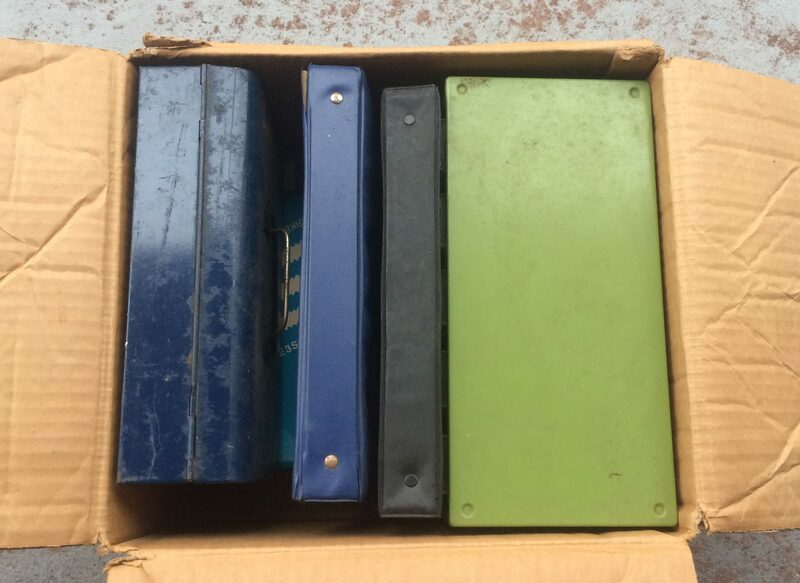 Bid books are fairly collectible, and this one seems to be pretty uncommon based on what I’ve seen (or, perhaps more accurately, haven’t seen) on the internet. It also came with the business card of an Olympics organizer / known KGB agent. I expect it to eventually sell for 3-400$. 5. 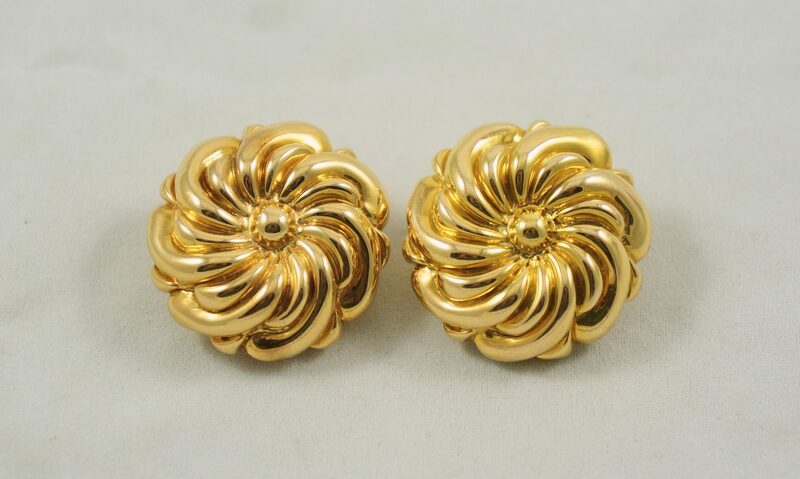 Chimento 18k gold earrings. My best jewelry find from the “Very Rich People” spot. These are worth around 400$ in gold weight alone, but I should be able to sell them for a fair bit more than that. 4. Photo / postcard collection. Some of these photos dated back to the late 1800s. My favourites were the scrapbooks, one of which contained some great WWI-era shots taken at the Royal Military College in Kingston, ON (click here for an in-depth look). That one’s currently for sale on eBay at 200$. 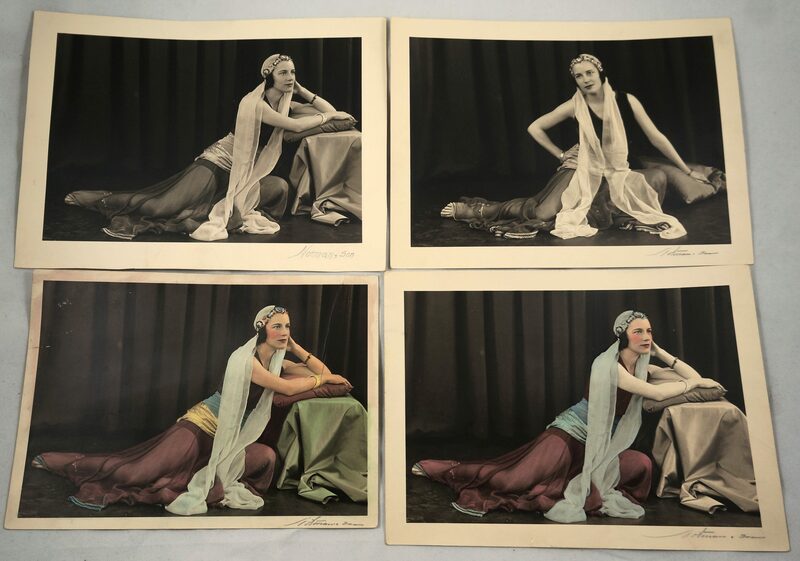 I also enjoyed the set of four Notman & Sons photos below that ended up selling for 125$. A lot of this stuff is still in my basement – I’ll eventually list the other scrapbooks on eBay, and sell the postcards at a yard sale. 3. Chinese export silver collection. I found other jewelry here as well, but the Chinese pieces featured below were definitely the best of the bunch. All date to the early 1900s and each is made from either solid silver or silver plated copper. So far I’ve sold the first, second, and sixth for a total of 1000$, and overall the collection should make me close to 1500$. 2. Edmund Alleyn painting. 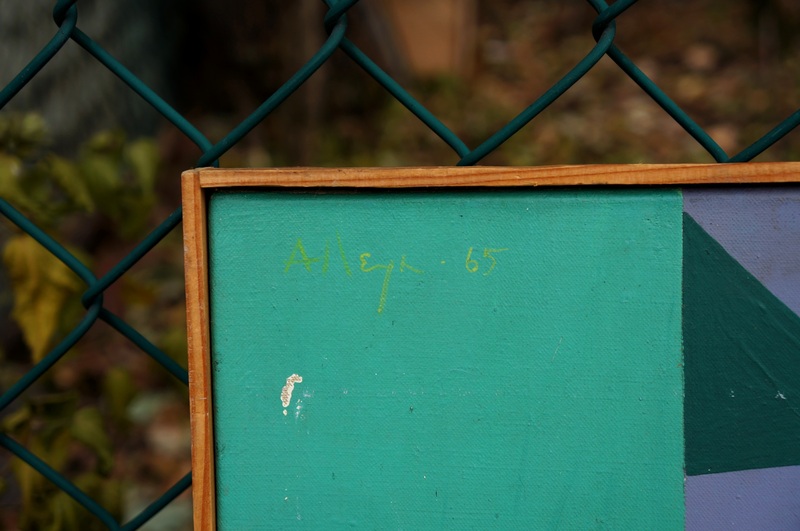 I don’t know much about the art market, but it seems like Alleyn’s work has gained recognition in the last few years. There was a major retrospective at Montreal’s Musée d’art contemporain in 2016, and since then all his works that have been auctioned by Heffel have sold at the high end or way above estimate. 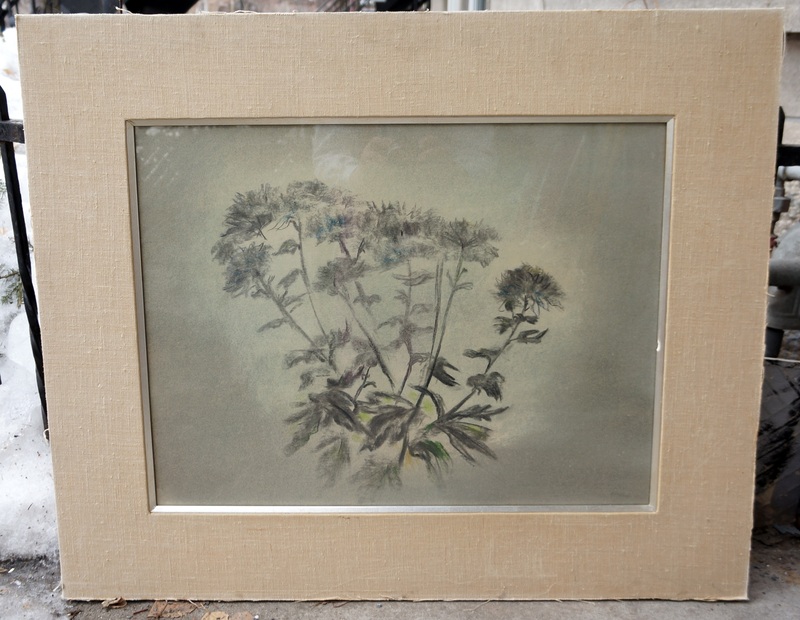 He definitely doesn’t have the name recognition of Monet or whoever, but he’s probably the most famous (or at least contemporarily relevant) artist whose work I’ve found on the curb. The painting is a little damaged but when I have some extra money I plan on getting it restored. I don’t know what it would go for at auction in perfect condition, but based on recent results it could be a fair bit. 1. 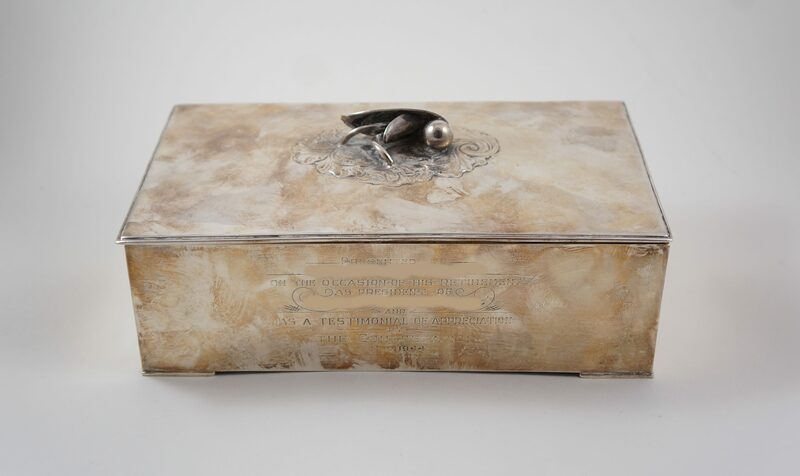 Carl Poul Petersen silver box. 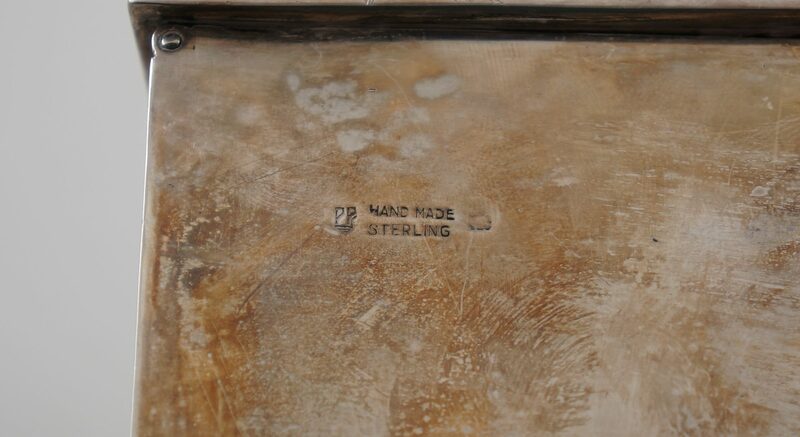 The same folks who tossed the silver plate (#8) threw out this sterling silver box a couple weeks later. I guess they really didn’t know much about recognizing precious metals, or maybe just underestimated their value. 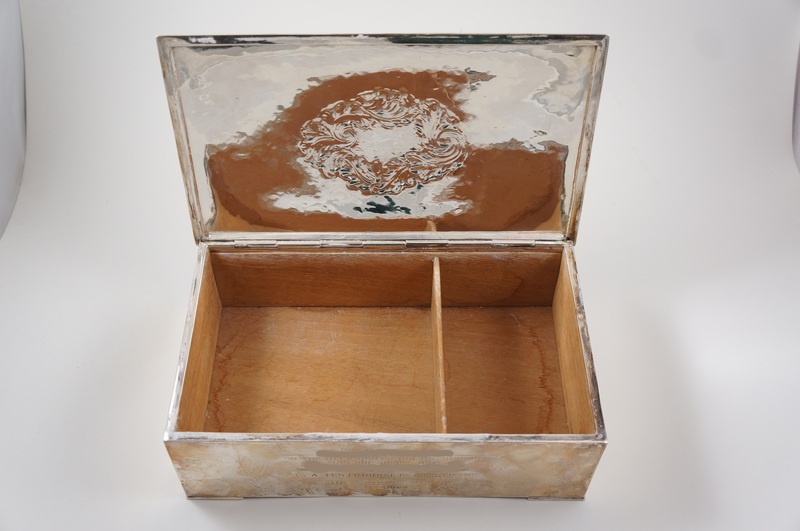 Anyways, this box was made by Carl Poul Petersen, a renown Canadian silversmith who apprenticed under Georg Jensen, one of the most respected names in the business. The box was a retirement gift (dated 1944) to the President of a local temple. It weighs around 1.2kg, of which I’m guessing 1.1kg is solid sterling. That makes it worth about 500$ in silver scrap, but because it’s a Poul Petersen it should sell for a fair bit more than that. It was tough choosing between the Petersen box and the Edmund Alleyn painting at number one. 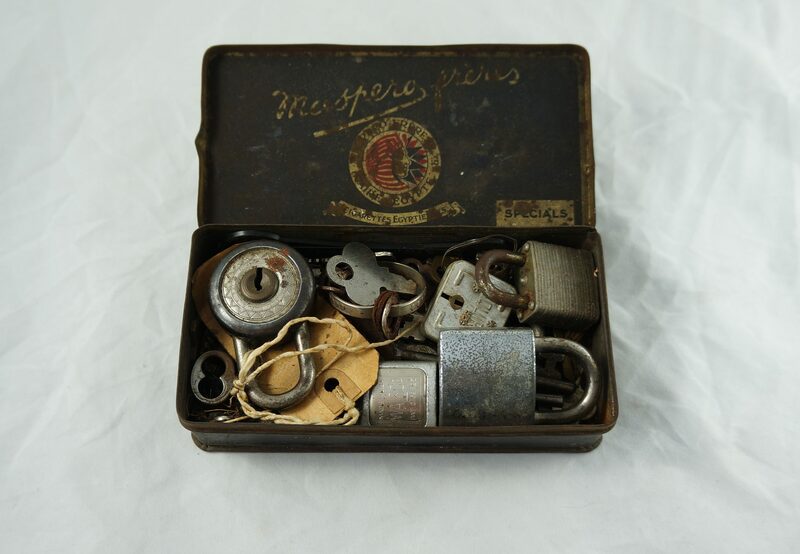 I ended up going with the safer of the two options – the Petersen box seems like a lock to be my first single find to sell for a four figure profit. However, I could definitely see the Alleyn painting looking like a better choice at some point in the future. Only time will tell! Here’s hoping 2018 brings similarly great finds! I’ve already found some excellent contenders for this year’s top-10, but I’ll have to keep picking if I want an equally good list come December.